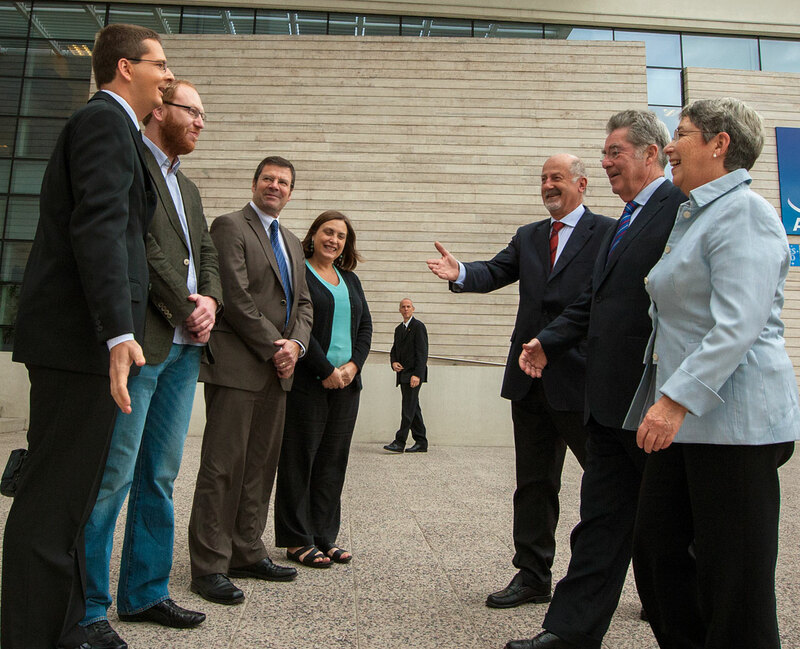 On 6 December 2012 the Federal President of the Republic of Austria, Dr Heinz Fischer and his wife Margit Fischer, visited ESO’s premises in Santiago, Chile. The President was accompanied by Dorothea Auer, Austrian Ambassador to Chile and Friedrich Faulhammer, Secretary General of the Austrian Ministry of Science and Research. They were joined by several other Austrian government officials as well as a scientific and cultural delegation. The picture shows, from left to right: Christoph Saulder (Austrian astronomer and PhD student at ESO); Paul Eigenthaler (Austrian astronomer at Universidad Católica de Chile); Jean Michel Bonneau (ESO); Maria Angelica Moya (ESO); Massimo Tarenghi (ESO Representative in Chile); President Dr. Heinz Fischer and his wife, Margit Fischer.